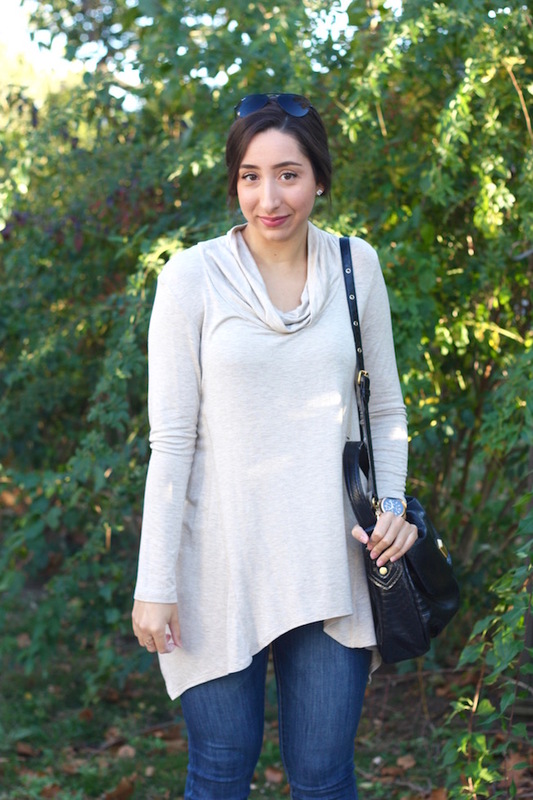 I love basic tops that are so chic all by themselves and are so easy to just layer up and add to. 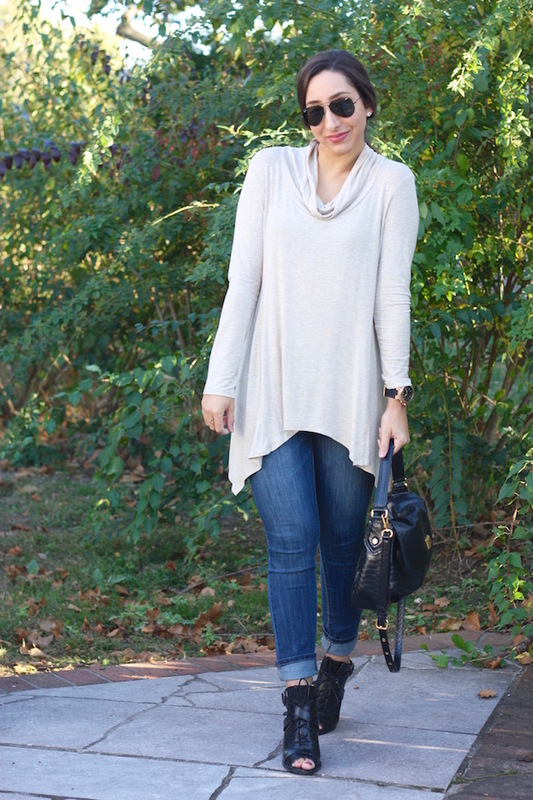 This one from Marshall’s is just the perfect top for this time of year, it goes great under sweaters or jackets and it’s even long enough to wear over leggings. I hate tops that are too short! Plus it has this asymmetrical pattern on the bottom that adds some detail and I love it! I was never really into turtle necks or cowl necks but recently I’ve fall in love. They’re so much more flattering than you would think. Plus they’re so in style this season. Definitely a must have this year! I paired it with jeans (these are actually jeggings but look like real denim and they are my fave!) 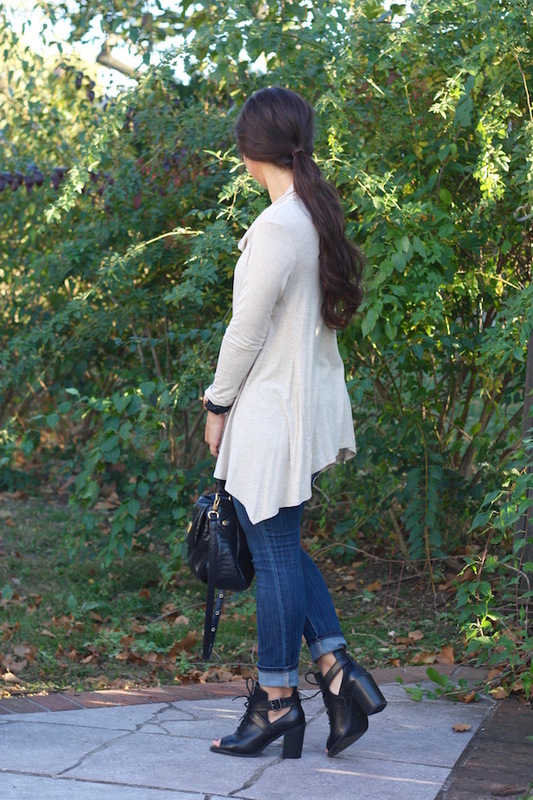 for a casual look, but added in these booties that I got a few seasons ago (in stock here!) for a more dressed up look. 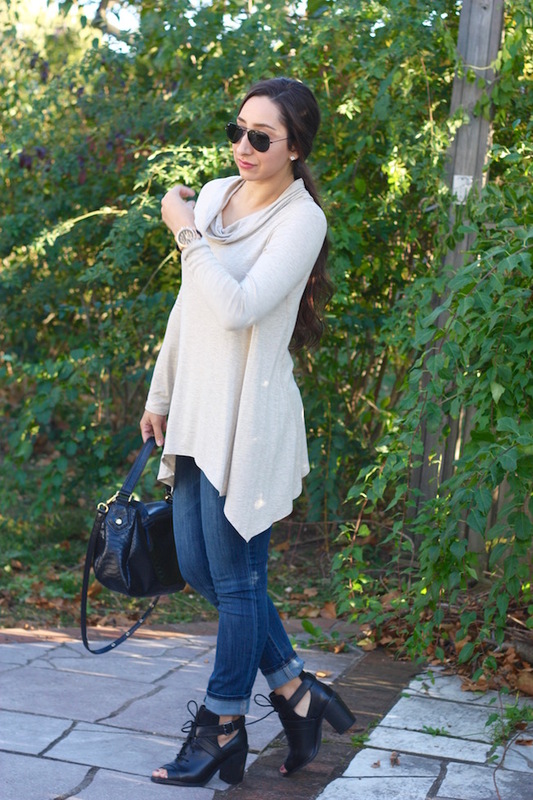 These booties are great because they’re a little edgy and this thick heel make them so easy to walk in. 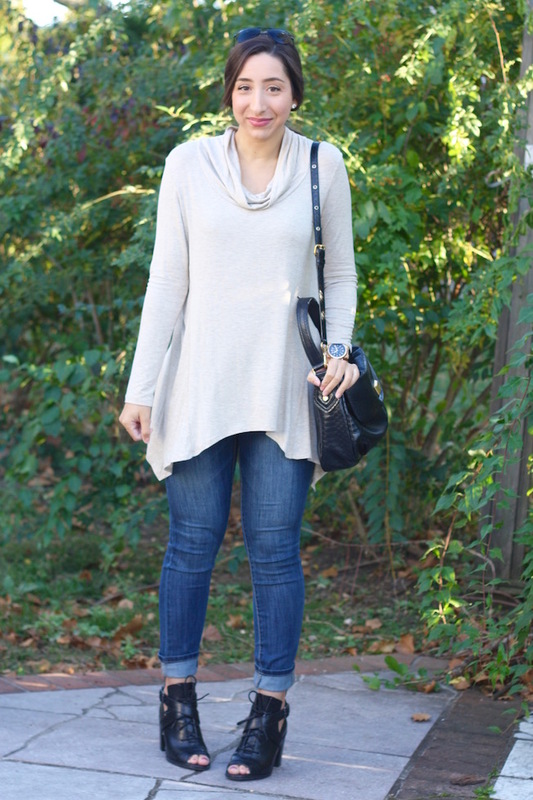 This outfit is great for a lunch out with friends or a casual meeting!